So many things. 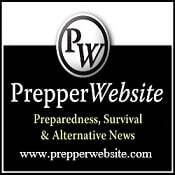 As many preppers know we try to stay healthy. As healthy as we can. I make sure that I go to all my well care check-ups. I make sure I keep up with my dental. And no procrastinating on surgery's. That was advice I did not take and put it off for some time. But was going to lose sight in one of my eyes if I did not get the surgery's I needed. Thyroids do damage to eyes and mine did alot. I still have a few more surgery's to go but my sight is now safe. And my stockpile made life a little easyier over the past month. I am sharing this with you because the importance of keeping healthy is even more real to me now. Imagine if a situation happened and I had not received this surgery that I was putting off? Do not procrastinate on your medical care. Ok so I am back to posting but I may not do alot over the next few months because as I said I still have a few more surgery's (simpler ones now). But they really take alot out of ya. That and my prep's are hurting so my energetic moments will be getting back on track. Will try to post at least a new post per week. Keeping healthy was really important as an individual, and thanks for sharing your blog post even you are not active but I personally enjoyed all your posts and I learn from your post also. I am learning on herbal blend which is really helpful for stay healthy.